You do not often hear about a johnbales.com, Florida medical malpractice lawyer going after a chiropractor for injury or negligence, but this does not mean that chiropractors are immune. In fact, successful suits have been brought against this type of healthcare professional in the past. 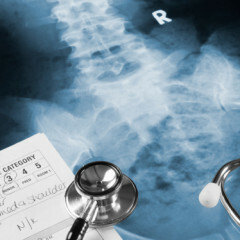 The primary reason medical malpractice suits against chiropractors are uncommon, is that in most cases, the negligence associated with chiropractors usually does not cause the patient to sustain a serious injury. Between 2004 and 2014, there were 2,051 medical malpractice payments issued as the result of suits against chiropractors, according to the Health Resources and Services Administration. This is compared to more than 110,000 malpractice payments associated with medical doctors during this same time period. This does not mean that chiropractors cannot cause damage that warrants a malpractice claim. The issues come in when examining the standard of care provided by a chiropractor compared to a medical doctor. Most chiropractors do not have the training necessary to refer patients to the proper specialist or make an accurate diagnosis. They mostly focus on treated pain associated with the nervous and musculoskeletal systems. The tricky part is knowing what to expect in terms of the chiropractor’s medical knowledge. They do not have the training of a medical doctor, and therefore, are often not held to as high of a standard. This means that a chiropractor missing a diagnosis that is outside of his capabilities is something that a patient will have a hard time suing over. However, there are two primary categories in which patients bring suits against chiropractors. First, a patient can file a lawsuit if the chiropractor’s treatment caused direct harm to the patient. Secondly, the patient could sue if the chiropractor failed to diagnose a medical condition that required immediate care, resulting in subsequent injury. Again, however, this can be tricky. When it comes to a treatment causing a patient direct harm, there are times when chiropractor treatment can lead to injuries like neck injuries, herniated discs in the spine and nerve damage. An even bigger problem is that there is the potential for chiropractic-induced stroke. This can occur as a result of a chiropractor manipulating a patient’s neck and causing an artery that serves the brain to become blocked or ruptured. The artery that is at the most risk is the vertebral artery. The result could be a blood clot cutting over the brain’s oxygen and blood flow. 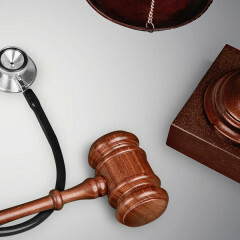 The chiropractic-induced stroke has resulted in a medical malpractice lawyer successfully winning a suit for his patient. In Alabama in 2013, a patient was issued a $577,000 verdict due to this issue. A 42-year-old patient went to a chiropractor for a neck adjustment and after the fourth session, he immediately experienced slurred speech and vomiting. The plaintiff was immediately sent to the hospital and was diagnosed with carotid and vertebral artery tears. The suit alleged that the chiropractic adjustment was responsible for this and the jury sided with the plaintiff in this case. 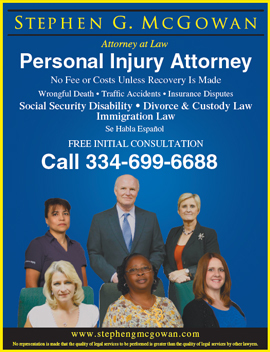 If you suspect that you suffered injury directly related to negligence from your chiropractor, contact John Bales Attorneys, Florida’s top medical malpractice attorney today.